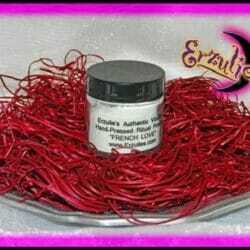 For all your love spells, voodoo spells and magical ritual needs, welcome to Erzulie’s magical ritual powders section. Here you will find the complete collection of Erzulie’s in-house, hand-pressed Voodoo ritual powders for all your magical spells. 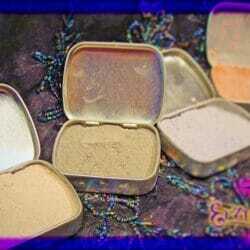 These are the same Voodoo powders you will find included on our Magical Gris-Gris Bag Kits and Voodoo Spell Kits. THESE VOODOO RITUAL POWDERS DO NOT COME WITH INSTRUCTIONS. If you are unsure how to use Voodoo Ritual Powders, please order a Voodoo Spell Kit or Magical Gris-Gris Bag Kit which arrive with detailed instructions. Voodoo Spells & Authentic Voodoo Ritual Powders! 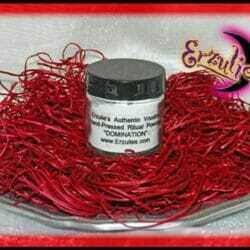 Voudou Ritual Powder for Commanding, Healing, Controlling & Protection Spells. These are the ritual powders used in authentic Vodou ceremonies, especially when needing the most intense levels of power and energy. 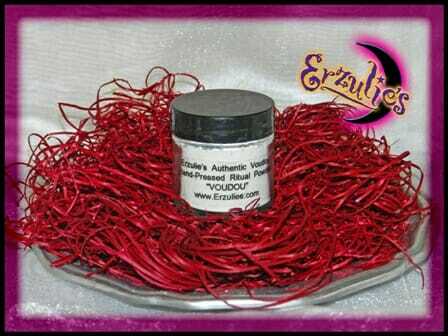 Erzulie’s exclusive Voodoo Ritual Powders are hand crafted with pure essential oils, based upon powerful formulary and highly concentrated. A few sprinkles is all you need for each work!